A Fallout 76 Build by Frnkrunz. **Stealth, Non-PA; Non-VATS, STR AGI w/ explosives. Combines Melee, Pistols, and Explosives with high stealth to create a 007/covert ops feel. Also, if you run cannibal + lead belly, you can be a vampire impervious to normal damage, able to regen by eating corpses etc. Whatever you want to roll! a.) I wanted to have a non-PA character. d.) I wanted to use fist weapons! If any of this applies to you, I hope you enjoy this build! I worked on the idea and the build, and it evolved. I really like where it went! I hope you enjoy it. There is a decent amount to unpack and I feel it’s easiest by starting with the perk numbers and card loadouts. Afterward I’ll cover gear/mutations etc. Being a non-PA set we want to use Barbarian. The card caps at 20 Strength so we want to get as close to 20 as possible to max the benefits of the card. We can get +3STR/+2PER from the Shielded Enclave Underarmor. We also can get +2STR/+3END from the Shielded BoS Underarmor. Whichever you prefer. Feel free to swap when you want. I have 2 variants of this build, one with Junk Shield, and one without. The one with has to run a 14 STR to make 8 LCK. The one without is the one that is posted above. To maximize the effectiveness of Barbarian, Ironclad, Evasive, and Junk Shield* I recommend 3/3 Blocker, granting 45% damage reduction to melee. This reminds me of the martial arts aspect of a covert ops, in those clutch scenes where they are taking on 5 opponents in CQC and not taking any damage. That is 6 points. We have 8-9 more. Here you can go Iron Fist / Gladiator. Iron Fist is only one card, so there are 5-6 points for Incisor 2/3 (50% armor pen to combine with the 50%armor pen affix on a melee weapon) and 3/3 Martial Artist. With 15 STR you can go 3/3 Incisor, and 3/3 Martial Artist w/ Iron Fist. I just hit level 50 on this character so I haven’t messed with the cards on the different mobs to get a feel for the difference between Fist Weapons and Melee Weapons. I don’t know if fist weapons do comparable damage given that you can only get +20% from Iron Fist, compared to the +60% of 3×3/3 Gladiator / Slugger. In the end it’s dependent on your gear, and taste so! Customize as you choose. It might be better to go 3/3 Incisor over 3/3 Gladiator; you may end up doing more than 20% extra damage if you negate that much armor – and you can always swap on the fly depending on what you’re fighting (robots v.s. scorched). Weighing everything, you can still hit a +50% dmg increase to melee as shown with the loadout above. You may elect to go +40% and instead take more Incisor etc. This also allows you to venture into Shotgun if you want. It may not fit the Covert Ops theme, but perhaps you want to be a hobo w/ a shotgun, or Ash from Evil Dead! 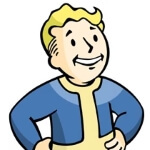 Side note – the high Strength is so great, because it allows you to use melee weapons as a back up, but it also grants you as much carry weight as you can get which is needed not having the benefit of power armor. 2/2 Grenadier – this combines with the 5/5 Demolition aspect of the kit. I remember playing Golden Eye 64 and I loved proximity mines, and remote mines so this is a throw back to that. It’s like the MacGuyver aspect of the Covert Ops jury-rigging what they can to kill what they need. 3/3 Concentrated Fire – You may elect to use this for trickier opponents. Pistols have excellent crosshairs and you can do a lot of hip firing for upper torso/head shots. Also, with a suppressor and 3/3 Sneak + 1/1 Escape Artist + Muffled items, you can point blank shoot a lot of mobs in the face and they don’t see you; They will fire from where the shots are coming from, and you can get hit, but you will be in caution and getting the 2.0x Sneak attack damage. That said, this isn’t as needed as you can keep maneuvering and hip firing, BUT it is even more powerful because you can do Sneak attack + head shot + critical with this card for impressive damage. To maximize durability. Lifegiver is probably more important than the +DR/+ER perks so if you were to skim, do it from Ironclad. I wanted an excuse to use Aquaboy/Aquagirl so if you too wanted to use that card, you want to roll 10 END or go 4/5 Ironclad. Feel free to spruce this part up, maybe you want to go 2/5 Ironclad so you can use 3/3 of something else; maybe you want to do 2/2 Rejuvenated, 4/4 Lifegiver, 3/5 Ironclad. Maybe you want to do something completely different. 9-10 is the most I would recommend so that you can utilize non-pa cards, and increase their effectiveness. Maybe you want to run 3/3 chem fiend and then use the biocommmesh mod on your armor that doubles the duration of chems so that that go from 5 minutes to 20 minutes in duration and use combat drugs to increase your performance as an operative! Both go hand in hand with the covert ops theme. Being non-PA we take 3/3 Evasive. The card caps at 15 AGI so, we can go 14 and most likely have a piece of 3-Star Legendary that has a +1 to AGI giving us the full effect of the perk card. Evasive is nice because it, like Ironclad, and the reason we elect using Junk Shield – is because they increase both Physical Defense AND Energy Defense. 3/3 Sneak and 1/1 Escape Artist are essential on this build. The theme, strength, and means of survival for this build is the elusive nature, not being seen, and getting out of the mess, leaving a trap behind. That is already 7 points, leaving only 7-8. I recommend going 3/3 Gunslinger, 3/3 Expert Gunslinger, and 1/3 Master Gunslinger for +50% pistol damage. And if you decide not to go Junk Shield, then using 1/5 Adrenaline. The build doesn’t kill enemies so quickly, as you often have to do like 2-3 headshots, back up and lure, 2-3 headshots etc v.s. 68 super mutants. That’s where that would shine most. Personally – with my gear with or without Adrenaline I am 2 shotting level 62 zombies, so since it doesn’t push me into a one-shot it’s a waste of a slot. Without it I can one shot the level 42 gangerous versions. But! 1/5 Adrenaline helps me go from a 3 shot on 68 scorched to a 2 shot [with sneak attack + hip fire headshot](Just reference so you can get an idea of the damage and what you can run). And see how that runs. Since I haven’t played it, I can’t recommend it yet. I will report what I find. Basically we want to keep the few mutations we have. I elected to not use a lot of them to keep the realism of a covert ops agent. The added durability from grounded and scaly skin can add to the lore of a vampire that survived the holocaust and can tank bullets and all sorts of hazards except for radiation. To keep them, we run 2/2 Starched Genes. For reference I recommend – Scaly Skin, Grounded (Using 10mm and .44 + combat knife or unarmed for the theme so we don’t need energy weapons – of course 007 and other agents use high tech gadgets so you may want to use laser pistols and then of course you would not take grounded. Note that Grounded affects Energy GUN damage, so mines and grenades are unaffected. However, I don’t know how they have coded their game. You might run extra mutations and instead of Junk Shield, you might take 3/3 Class Freak so that you can also do Healing Factor. I personally opted out of Healing Factor because I never use stims on my main characters. I wanted to actually use the chems, and the supplies that the character would in real life. If you want to be a Deadpool or Wolverine like Character, then go 8 Luck! And lastly! We go 3/3 Bloody Mess for the universal damage. That is the kit in a nutshell! NOW here is where this really shines!!! The armor! Maybe you have been lucky enough to have found a couple (or even more) 2 star and 3 star pieces of legendary gear. The point is that you can get perk card effects on your gear. I don’t know all the different things that are out there. Those scatter about your armor makes this build MORE POWERFUL than a power armor build – but more gear dependent. What is really cool, is that it offers so much flexibility, and personal tailoring. You might want the quality of life affixes like lower Chem and Junk weight. You might want different sets for different things! 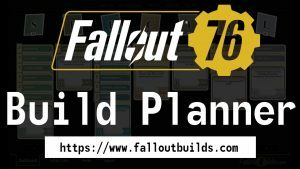 For level 4 (Shielded) of the Enclave underarmor, you have to buy and learn the 1st plan, then the 2nd, then the 3rd, and finally you can purchase and learn the 4th. We’ve covered perks and armor; last is weapons. executioner could work – open on them with a pistol, and then finish off with melee when they close the gap. As I’ve mentioned, with 3/3 Sneak, 1/1 Escape Artist and muffled, a lot will not see you and so it’s up to you to engage in melee otherwise you can keep being out of contact with them. Again, it’s a nice back up – I tend to stick to my pistol. Because of the nature of chems, it’s personal preference and situational which one you want to be using. I prefer psychotats or psychobuff personally. Fury looks pretty nice if that is what you will be using. I haven’t tried calmex yet. I will with the 3/3 Covert Operative and see how that runs. Until then, I hope that you enjoyed the build. It is a lot of fun. It’s also very freeing not being in power armor especially with the new change to fusion cores not replenishing to 100% anymore. This forum has 495 topics, 539 replies, and was last updated 8 hours, 37 minutes ago by HRTufnstuf.